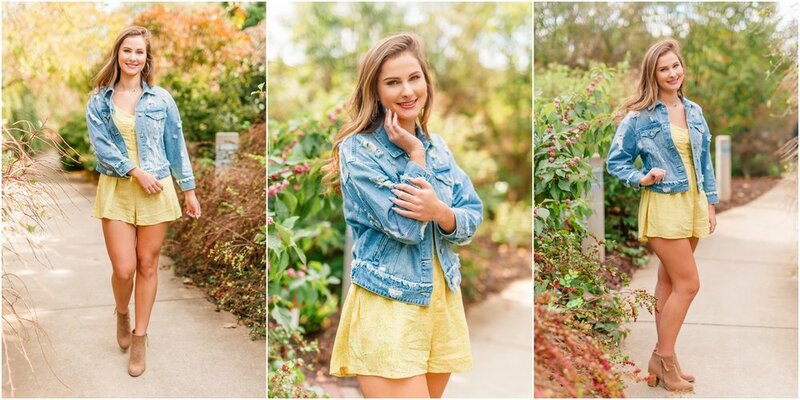 I am so excited that I finally get to share my beautiful senior model Marisa’s session with you all! This girl is so effortlessly beautiful that it’s impossible not to take a good photo with her in front of the camera. She has been so excited and lively about all the ideas I’ve presented to her, and I couldn’t ask for a better senior model than herself. This session shows the true essence of who Marisa is, but we have much more coming for you in the few months ahead! When interviewing Marisa for the senior model position, she explained to me that exercise and nutrition were two of her passions. She has seen firsthand the transformative results that a nutritious diet can do for someone who has fallen ill. Marisa loves to live an active lifestyle and has grown mentally during her time working for the YMCA. She is a diligent and intelligent girl, and I can’t wait to see what she does after graduation! I hope you all enjoy looking through these gorgeous photos, and be sure to leave her some love in the comments below!